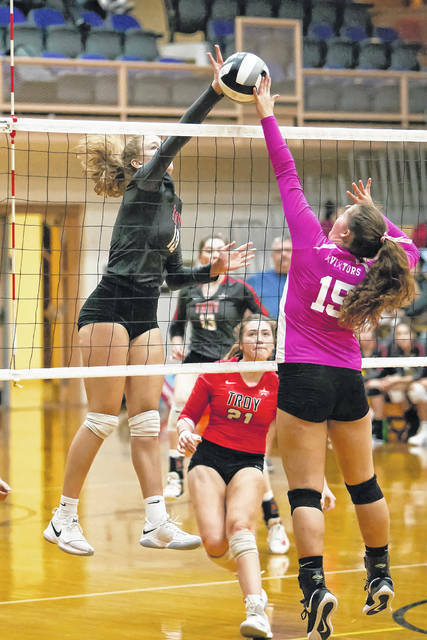 Grace Marshall saves a ball at the net verus Troy. Butler’s Taryn Butler (15) goes up for a 50-50 ball versus Troy. 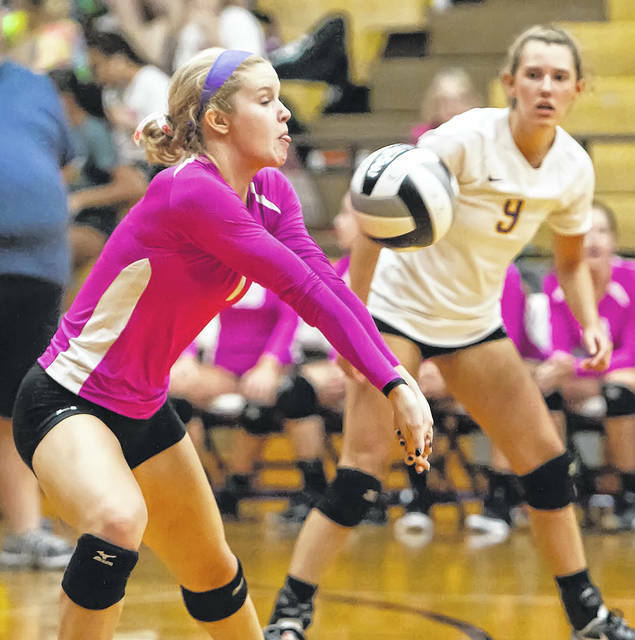 Alyssa Burley passes the ball versus Troy. 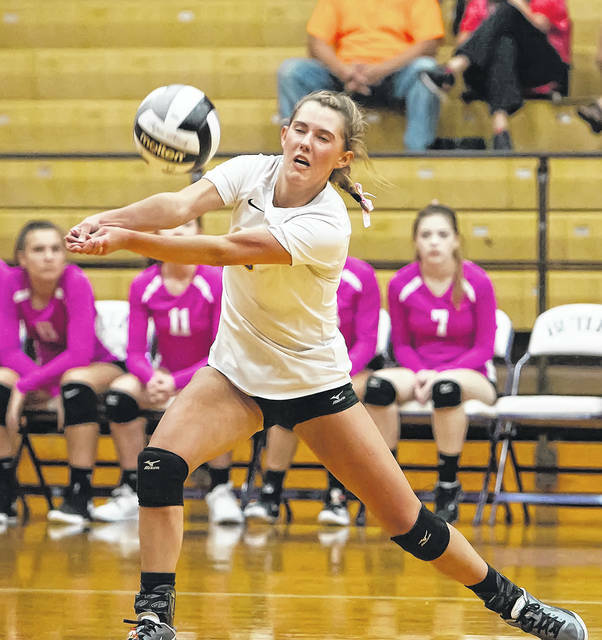 Karli Kercher passes the ball versus Troy. Grace Swarts sets the ball versus Troy. 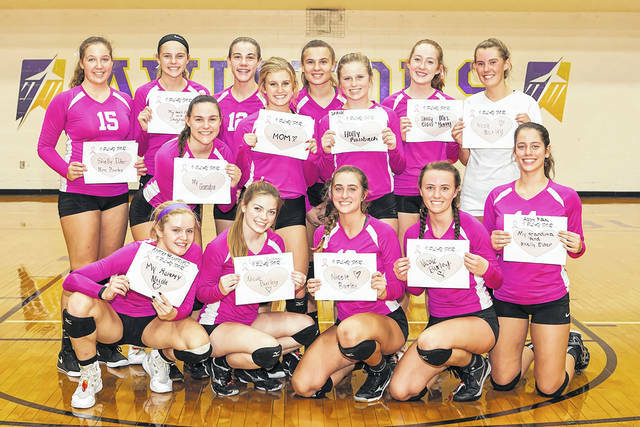 The Butler Volleyball team honored those who had suffered from breast cancer during the Block Out Cancer game verss Troy. Pictured back row, left to right, Taryn Butler, Olivia Follick, Brooke Long, Emily Ledbetter; second row Mia Dues, Elaina Burley, Gracie Price, Dani Holop, Karli Kercher; front row Alyssa Burley, Lauren Trentman, Grace Marshall, Grace Swarts, and Abby Plsek. 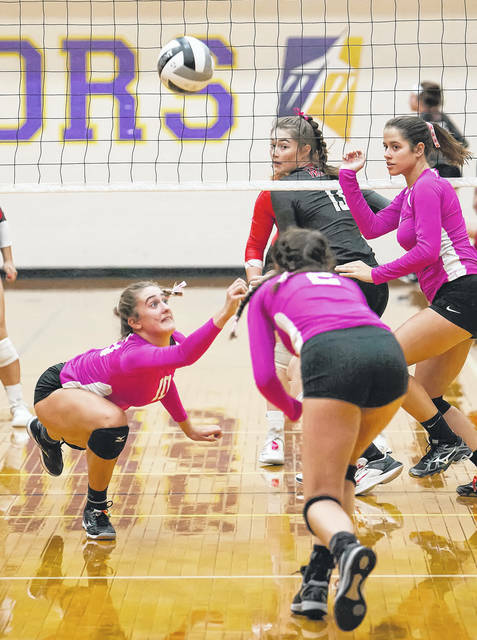 VANDALIA — The Troy volleyball program has had a stranglehold on the Greater Western Ohio Conference North division since 2012. 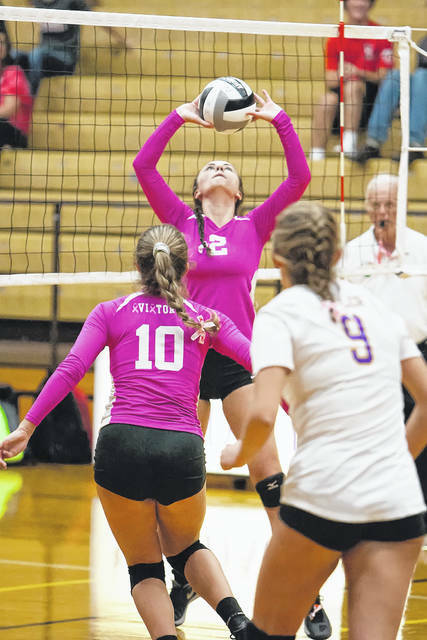 On Wednesday they showed why when they visited Butler and swept the Aviators in three sets 25-12, 26-24, 25-10. The win lifted Troy to 16-4 overall and 13-0 in league play while Butler fell to 12-7 overall and 10-3 in conference play. The game was also designated at a Block Out Cancer game to raise awareness for breast cancer. Each player honored someone they knew who had suffered from the disease. The Aviators will close out the regular season this week by hosting Sidney on Tuesday and traveling to Tippecanoe on Thursday and Miamisburg on Saturday.